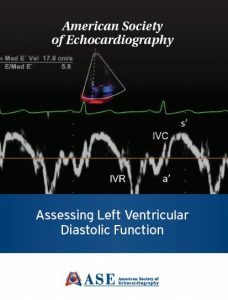 Now available on DVD or as an online course, Assessing Left Ventricular Diastolic Function is the latest product developed by ASE experts. It is comprised of case-based lectures followed by case studies. The dedicated lectures include questions on the echo parameters used to asses diastolic function and the physiology of diastology. This educational tool also describes how to best utilize the ASE and EACVI 2016 guideline on diastology. This course offers 8 AMA PRA Category 1 Credits™. Learn more at ASEMarketPlace.com. Many new educational resources are being developed by ASE experts to help you enhance your practice. There is something for every level of training. Make sure you log into your member portal to receive your discount.